Kristyn, Kelsi and Kassidy Osborn were raised near Magna, Utah, a town outside Salt Lake City. 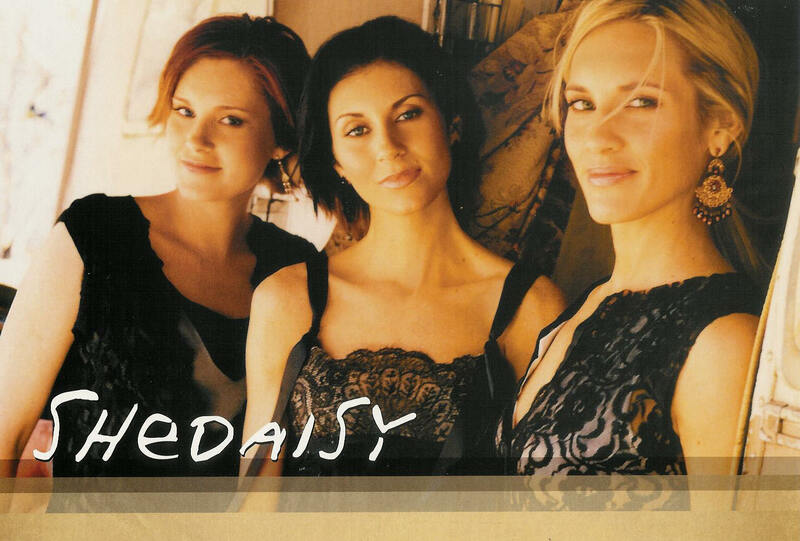 (The name SHeDAISY was taken from a Native American word meaning "my sisters.") Their mother taught them harmony singing to the albums playing in the family car, and the varying sounds became part of their musical style. At 12, Kristyn went to an Alabama concert and bought a Restless Heart album, and country began staking its claim on all three. Their neighbors still talk about buying tickets for the shows they put on as young girls in the neighborhood. Later Kelsi and Kassidy began singing duets at retirement homes and country fairs. By the time Kristyn graduated from high school, the trio was complete. They played gigs in the Salt Lake area and the western U.S., eventually performing the national anthem at Utah Jazz NBA games. They ultimately moved to Nashville to pursue a record deal. With one car between them, they worked similar shifts at three different department stores at Nashville's Hickory Hollow Mall and used the bulk of their time to record and play showcases. After several years of false starts, disappointments and struggles, SHeDAISY finally landed a deal with Lyric Street Records. Heavily produced and geared toward young women, their debut album sold more than a million copies and launched three hit singles. Following a remix album and a holiday album, the trio released Knock on the Sky in 2002. In 2004, SHeDAISY returned with the album Sweet Right Here. This time, country radio welcomed their singles, including "Passenger Seat," "Come Home Soon" and the Top 10 hit, "Don't Worry 'Bout a Thing." A new album is expected in 2006.